Vibraphone guru Redd & the Youngbloods, with Mark Meadows, piano and vocals, Eliot Seppa, bass and Ele Rubinstein drums play at Westminster Presbyterian Church Friday March 27, the same night trumpeter Kenny Rittenhouse kicks off a two night stay at Twins Jazz and guitarist Mark Whitfield begins two nights at Bohemian Caverns. After Redd & Co. play at the church, Jazz Night at the Movies at 9:15 p.m. features Coleman Hawkins. Go to http://www.westminsterdc.org/jazz for more information. Amy K. Bormet’s WWJF closes out a well-attended festival month with the saxophonist Gabrielle Murphy’s quartet Friday night and the WWJF 2014 Young Artist star, vocalist Taylar Lee with the Savannah Harris Trio Saturday night, both events at Wesley United Methodist Church in Northwest D.C. See http://www.washingtonwomeninjazz.com for details. Grammy winner Cassandra Wilson, in a tribute to Billie Holiday show, is at the Kennedy Center Friday night, followed on Saturday by pianist Jason Moran’s multi-media Thelonious Monk at Town hall show. See http://www.kennedy-center.org for more information. Then there is the DC Tap Fest, Friday through Monday, presented by Chloe and Maud Productions, with an all-star concert featuring Chloe and Maud Arnold and many tap stars Friday night, March 27, at 7:30 p.m. at the University of the District of Columbia, and competitions and classes Saturday to Monday. See http://www.dctapfestival.com for ticket information and complete details. 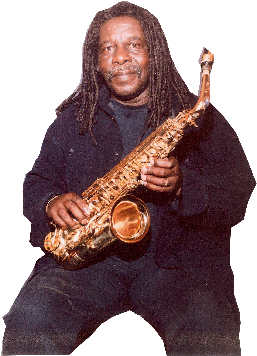 Carl Grubbs, saxophonist, composer, educator and recipient of Baltimore’s 2014 RUBY’s artist award, leads an ensemble for the “Bebop Madness: A Tribute to the Masters” show Saturday March 28 at 5 p.m. at the Eubie Blake Cultural Center in Baltimore, with Eric Byrd, piano, Blake Meister, bass and John Lamkin III, drums. For ticket information go to http://www.instantseats.com/events/contemporaryarts, contact Barbara Harrell Grubbs at 410-944-2909 or email contemporaryartsinc@verizon.net. Also on March 28, Paul Carr, saxophone star and director of the Jazz Academy, will conduct the Maryland All-State Jazz Band at the University of Maryland Baltimore County Concert Hall in the Performing Arts & Humanities Building in Catonsville for a show from 4 to 6 p.m.
After guitarist Joel Harrison plays with Anthony Pirog’s Telecaster Tribute Band Saturday March 28 at JV’s, 6666 Arlington Boulevard in Falls Church, Va., (www.jvsrestaurant.com), on Sunday, March 29, Transparent Productions (www.transparentproductionsdc.org) presents Harrison’s Mother Stump Band, with Michael Bates, bass and Allison Miller, drums, for shows at 7 and 8:30 p.m. at Bohemian Caverns. Harrison, returning this weekend to his area roots, is the founder and curator of the New York-based Alternative Guitar Summit, an international festival. According to Cuneiform Records information, the two concerts at Bohemian Caverns spotlight Harrison’s trio and feature songs from his new album, Mother Stump, including Harrison originals and his arrangements of tunes by Leonard Cohen, Paul Motian, Luther Vandross, George Russell and others. Michael Bates is an established bassist/composer/bandleader on the New York scene. Drummer Allison Miller, like Harrison, is an area native who’s established herself on New York’s “avant jazz” scene as both a composer and bandleader. Harrison is to be interviewed by WPFW Pacifica Radio’s Tom Cole Sunday morning March 29 from 10:30 a.m. to 12 noon, at 89.3 on your FM dial, or at http://www.wpfwfm.org. 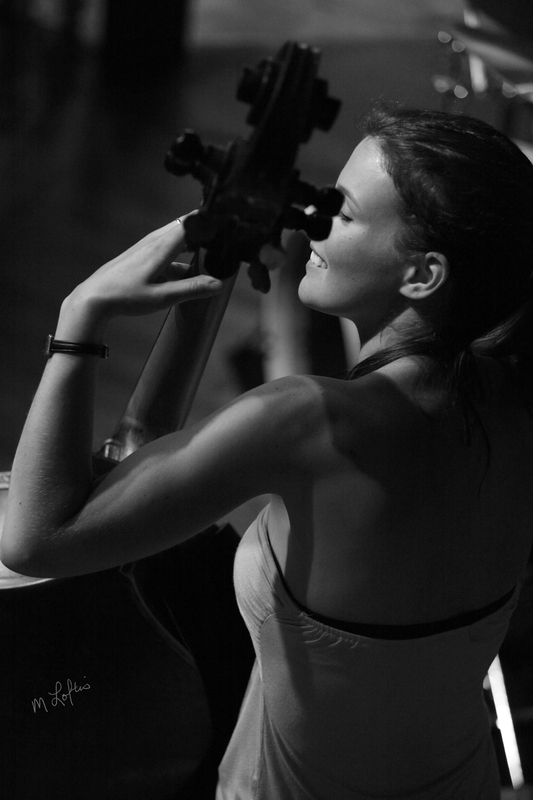 Also Sunday night, violin and viola maestro Chelsey Green plays with The Green Project at a special University of Maryland School of Music and Common Tone show at 7 p.m. at Busboys & Poets in Hyattsville. The show is free, no tickets are required. See http://theclarice.umd.edu/venues/busboys-poets-hyattsville for more information. Tuesday, March 31, the Allyn Johnson Trio performs at 12:30 pm at the UDC Recital Hall (Performing Arts Bldg. 46-West). Call 202-274-5803 or email jazzalive@udc.edu for more information. Also on March 31, trumpet master of many genres, Roy Hargrove, begins a five-night run at Blues Alley. Jazz Appreciation Month gets underway where it all started in 2002, at the Smithsonian Institution downtown, with a full day of free(!) music, first at the Flag Hall, National Museum of American History, Thursday, April 2 with performances at 12:30, 1:30 and 2:30 p.m. by the Smithsonian Jazz Masterworks Orchestra (SJMO), under the direction of alto sax guru Charlie Young, performing music by Billy Strayhorn, who is featured on the official 2015 Jazz Appreciation Month poster. Jazz follows there every Thursday the rest of the month by various groups. The evening of April 2, at the National Portrait Gallery, an Annual Jazz Appreciation Month show begins at 6:30 at McEvoy Auditorium with tributes to masters Thelonious Monk, Sonny Rollins and Ornette Coleman, by members of the Howard University Jazz Ensemble, pianist Donald Brown and guitarist Mike Stern. The event is free, but RSVP at Events & Programs, for the National Portrait Gallery at http://www.npg.si.edu. The Airmen of Note perform at the Flag Hall April 9, the same day the SJMO performs at Childers Hall, Howard University. 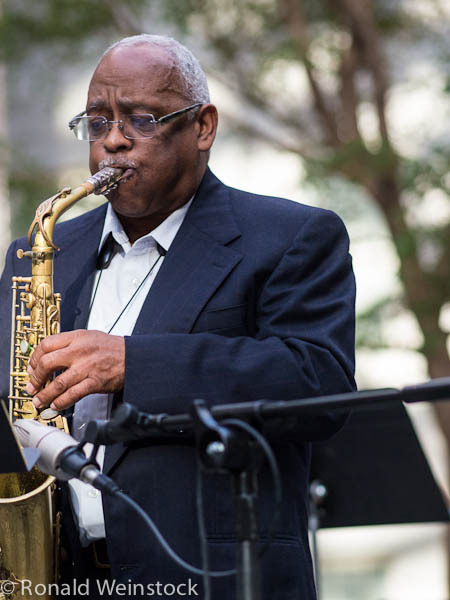 On April 11, Smithsonian Jazz Presents the SJMO in “Lush Life: Billy Strayhorn’s Centennial” at 7:30 in Baird Auditorium, National Museum of Natural History. For tickets go to http://www.smithsonianassociates.org. In other early April events, the Chuck Redd Quartet with Nicki Parrott performs April 2 at Bethesda Blues & Jazz Supper Club. The Howard University Jazz Ensemble is at Westminster April 3, the same night sax man Jim Snidero starts a two-night stay at Twins Jazz, and Double Time Jazz returns to THEARC in Southeast DC with Lori Williams and Art Sherrod at 8 p.m. See http://www.thearcdc.org for more information on that show, with charming vocalist Williams and sax man Sherrod. As part of the East River jazz “Celebrating Strayhorn” program series, with this year the centennial of the legendary pianist and composer Billy Strayhorn’s birth, “The Art of Musical Composition” features a conversation led by pianist Sam Prather, percussionist Nasar Abadey, bassist Herman Burney and saxophonist Marshall Keys on Strayhorn. The event is at 2 p.m. April 4 at the Francis A. Gregory Neighborhood Library in Southeast D.C. The series also features a program April 12 at the library, “Performing Arts and the Queer Aesthetic,” dealing with contemporary gay performers, with Strayhorn an openly gay performer throughout his career. See http://www.eastriverjazz.net for more information on the series, which has events through June. Afro Blue performs with Cyrus Chestnut April 6 at Blues Alley, with Ramsey Lewis performing there April 9-12. At the Kennedy Center, Washington Performing Arts presents Chick Corea and Herbie Hancock April 10, and Dianne Reeves and Friends perform there April 11. 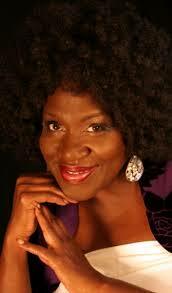 Sharon Clark performs April 8 at Bethesda Blues & Jazz Supper Club, with Chris Grasso, piano, Lyle Link, sax, Tommy Cecil, bass and Quincy Phillips, drums. See http://www.bethesdabluesjazz.com for ticket information. Also on April 8, at the Hill Center for the Arts in D.C., acclaimed young drummer Sanah Kadoura leads the Hill Center Jazz Ensemble, with Greg Glassman, trumpet, Davis Whitfield, keyboard, and James Robbins, bass. Pianist Freddy Cole is at the Montpelier Arts Center April 10-11. The Jazzforum at UDC April 13 highlights “A Celebration of the Life and Music of Shirley Horn” with her daughter Rainy Smith, at the UDC Recital Hall, followed the next day at 12:30 p.m. by the UDC Small Jazz Ensemble in concert, under the direction of Jazz Studies Director Allyn Johnson. A new force for music on the scene, to provide a venue in Northern Virgina, founder Debbie Hodnett says Nomadic Jazz will present its first concert May 2, featuring Inner Urge, with Nasar Abadey on drums, Thad Wilson, trumpet, Fred Foss, alto sax, Elijah Jamal Balbed, tenor sax, Allyn Johnson, piano and Herman Burney, bass. Quite an all-star lineup for a first production. The event is from 6 to 9 p.m. May 2 at the Durant Art Center 1605 Cameron St. Alexandria, Va., two blocks from King Street Metro. Tickets went on sale earlier this month for DC JazzFest at The Hamilton Live co-presented by The Washington Post, featuring seven nights of “exciting, eclectic performances” during the festival, which runs June 10-16, according to DC Jazz Festival information. The shows feature The Bad Plus Joshua Redman, Snarky Puppy, Jack DeJohnette Trio featuring Ravi Coltrane and Matthew Garrison, John Scofield Uberjam Band, Paquito D’Rivera, Stanton Moore, Edmar Castenada, and Charlie Hunter. In addition to concerts at the Hamilton Live, the festival is to feature a diverse selection of “renowned and emerging artists” at many venues around the city. Festival performers include Common, Esperanza Spalding, Sharon Clark, Marshall Keys, Fema Kuti. New festival lineup additions at press time included guitar maestro John Scofield’s Überjam Band; NEA Jazz Master drummer Jack DeJohnette, and New Orleans’ Soul Rebels. For more information, go to http://www.dcjazzfest.org. 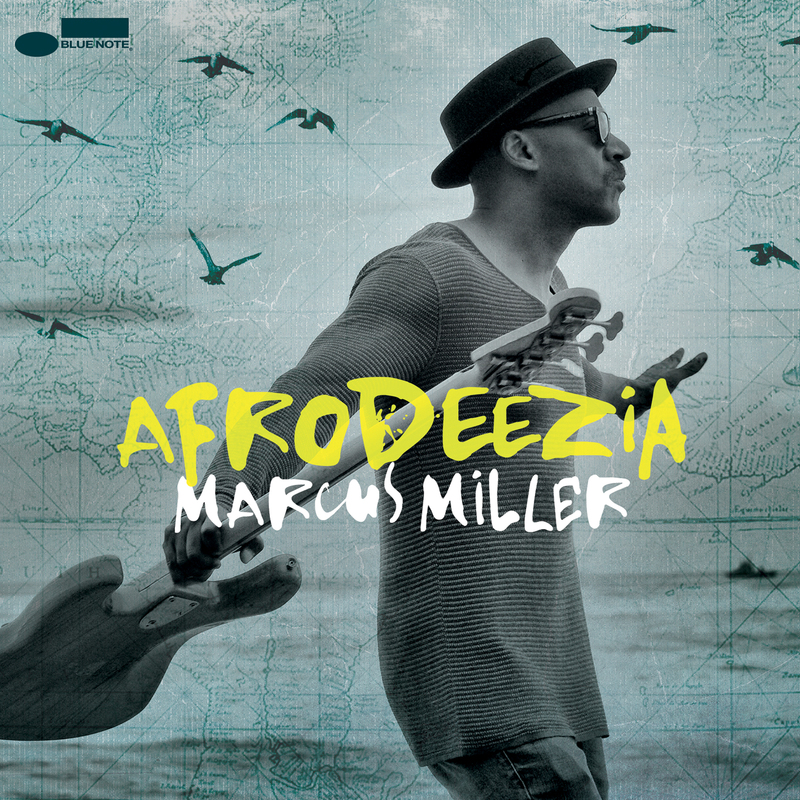 Bassist guru Marcus Miller’s “Afrodeezia” recording, released a couple of weeks ago, is a funky, jazzy rocker that delivers on its publicity promises of world music, African, soul and more in a spicy contemporary blending. The CD is his debut for Blue Note Records and was “inspired by Miller’s role as a UNESCO Artist For Peace and spokesperson for the organization’s Slave Route Project … it was recorded in locations around the world including Morocco, Paris, Rio de Janeiro, New Orleans and Los Angeles …” with guest artists including “rapper Chuck D., vocalist Lalah Hathaway, keyboardist Robert Glasper, trumpeters Etienne Charles and Ambrose Akinmusire” and others. Miller’s core band includes saxophonist Alex Han, trumpeter Lee Hogans, pianist Brett Williams, guitarist Adam Agati, and drummer Louis Cato, according to Blue Note publicity. One highlight of the recording is “Hylife,” a vintage afro rocker with spearing horns and Miller’s trademark thumping, grooving bass work. “Preacher’s Kid” has soothing vocals over soft piano, then gospel-tinged organ work helping to build areverent tension. “Papa Was a Rolling Stone” is a rollicking redo of the soul classic, Miller intensely funky under the sweeping horns in the background, with the tune featuring a sparking interweave of harmonies and melodies and rhythms to take the tune out. One distinct original highlight is “I Believe I Can Still Here Her,” an intriguing waltz of strings with Miller’s rumbling bass, accenting guitar and a brightly melodic piano, producing a dramatic mood pushed along by Miller’s ever spiraling bass. “The Dancer” is a spicy, fun romp also pushed by Miller’s relentless bass. And the concluding “I Can’t Breathe” is a topical shout out, funk groove teeming with protest calls and responses. Miller, a two-time Grammy Award winner, produced the acclaimed “Tutu” album for Miles Davis, and has also worked with varied artists such as “Eric Clapton, George Benson, Luther Vandross, Roberta Flack, Aretha Franklin, Chaka Khan, Jay-Z, Wayne Shorter” and many others. See http://www.marcusmiller.com for more information. 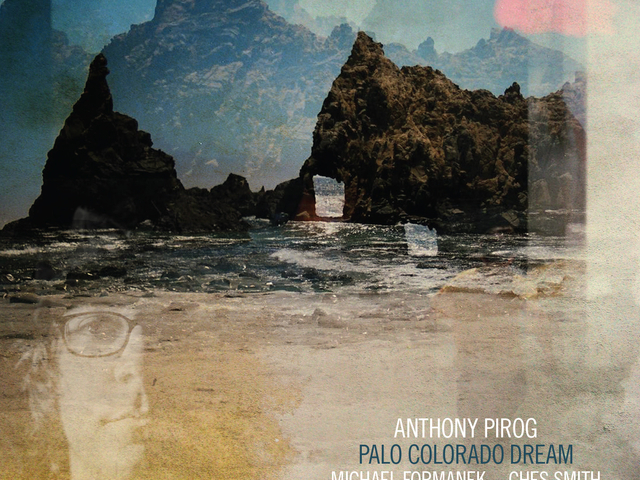 A belated congrats to guitarist Anthony Pirog on his release in the fall of his debut album, “Palo Colorado Dream,” a starkly entertaining blend of music embracing elements of jazz and rock and more, with bassist Michael Formanek and Ches Smith on drums and electronics. Having heard Pirog perform live at Union Arts, in scintillating fashion, it was impressive that this recording captures almost all of the drama and the soaring, intense flights he engenders in live performances. And he achieved a sterling debut with players brand new to playing with him! the studio,” says Pirog in the Cuneiform Records publicity material. Brought up in Maryland, California and then Northern Virginia, Pirog’s guitar heroes included area greats Danny Gatton and Roy Buchanan and he studied at Berklee and New York University. In recent years he has performed in many settings with different ensembles, including many with his fiancé, cellist Janel Leppin. Though some of the recording may be more accessible for those of us who passed through the fusion era and the rock era of the late 1960’s and early 70’s, “Palo Colorado Dream” is a winner for those who love guitar in all its forms, including the diversity of players like Wes Montgomery, Howard Roberts, Jimi Hendrix and Gene Bertoncini. 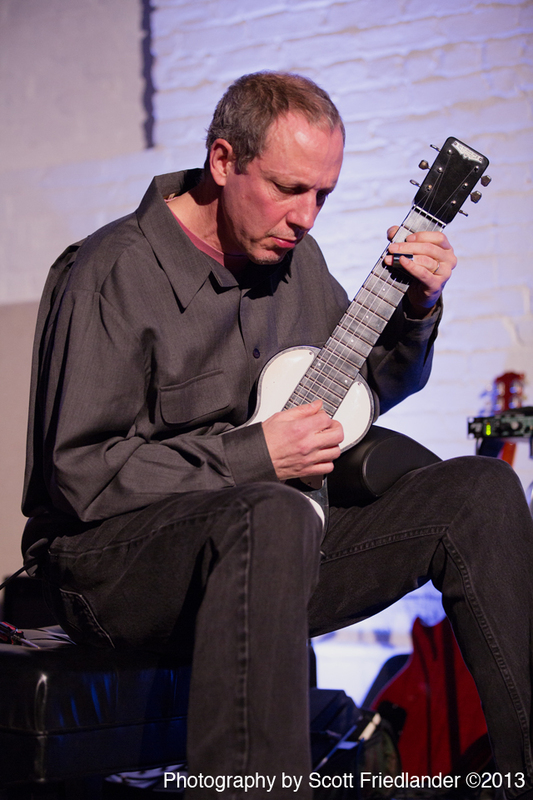 It is a sweeping journey, beginning with the title tune, which forms a gentle lead-in to the sometimes fierce travels along the way made by Pirog’s searching, searing, sometimes screeching but always melodic and rhythmic guitar, Formanek’s throbbing bass and Smith’s often explosive percussion. “The Great Northern” builds a winding road of guitar soliloquies by Pirog. “Minimalist” is a deft free form, romping framework for Pirog and Smith’s drums and electronics. “Song In 5” is a bright, catchy rocker highlighted by Formanek’s running bass lines. “Vicious Cricket” is a witty, ripping, frenetic, and appropriate closer to this five-star travelogue.